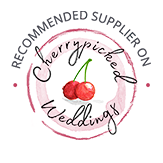 By working very closely with our wedding dress designers we are able to offer every bride who visits us the opportunity to create their perfect individual look. We invest a huge amount of time with each bride making sure that she has made the best choice in terms of silhouette and fit, fabric and colour, to flatter her appearance in every detail. We have also selected a stunning range of accessories, designed to perfect the look for every bride. Our aim is to provide every bride with a special and memorable wedding experience, within our relaxed, friendly and stylish environment.